Spa is a place where water rich in mineral is used for medicinal baths. Various health and beauty treatments are offered here at Care Well Medi Hub. We are offering Thai Spa with Massage, Kerala Ayurvedic Massage, Deep Tissue Massage and Swedish Massage in South Delhi at Care Well Medi Hub located in CR Park. Spa treatment is a non-medical procedure that helps in keeping your body healthy. There are numerous spa treatments that are used for relaxation, holistic therapies, beauty therapy, fitness and nutrition. At Care Well Medi Hub we take care of the relaxation and enhancement of the clients' wellbeing. Spa therapy is not a new term, it has been used for various healing properties for generations. The spa provides relaxation, health and beauty benefits, thus people prefer and feels its need for staying healthy, relaxed, losing weight, detoxing and reconnecting with people you love. At Care Well Medi Hub we offer few of the most popular massages like Thai Massage, Kerala Ayurvedic Massage, Swedish Massage and Deep Tissue Massage in Delhi. Today in this present scenario, people are always rushing to hide themselves and escape into some other world where you can be yourself and indulge in some me time. Spa is thus a place where you can be with yourself and enjoy the ‘me' time and relax, detox, recharge and beautify. Nowadays spa offers a various ranges of healthy experiences.Since prehistoric time we have heard about the healing power of touch therapy. Touch therapies are similar to what the spa offers you. Reduces the level of stress hormones: it is shown in several studies that massages help in reducing the levels of the stress hormones that help a lot in slowing the heart rate and managing the blood pressure. Reduces stress in the form of body pain. Boosts your Immunity: massage is helpful in boosting the “natural killer cells” present in the body that can help you stay away from any disease at the initial level. Massages boost the immunity power in clients who have a decrease immune system. Helps in relieving you from Pain: pains like arthritis, sciatica, musclespasms, muscular pain, labor pain and headaches due to migraine can be decreased or relieved with therapeutic massage and body care. Improves blood circulation of the body: massage helps in improving the blood circulation that provides oxygen as well as other nutrients to the cells. Stimulate the Lymphatic system: Massage is helpful in stimulating the lymphatic system that is helpful in carrying away the body waste. Ease muscles: People who are fitness freaks prefer an experienced therapist for easing up their muscle tension and cramps. They prefer deep tissue massage for relaxing their entire body part. Reduces the PMS symptoms: it is proved that massage can reduce symptoms of PMS like pain, mood swings and water retention. Thus visiting spa is a very good idea to get a little relaxation from the excessive pain and mood swings. Lose weight: Body contouring at spa can help in losing weight and reshaping your body. Pamper skin: Body polishing at spa exfoliates your skin, refine the pores and prove uniform relief to your skin. Spa nowadays also provides advice on nutrition that helps in healthy living and leading an energetic lifestyle. 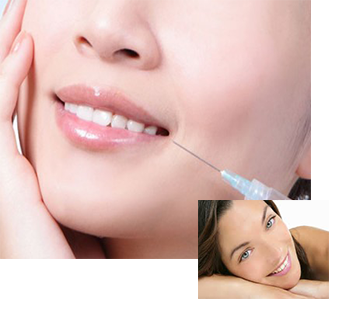 Facial therapy at spa helps you in appearing more youthful and confident. The age reversal in you is seen because of the body wraps and anti-aging facials that help in smoothing and firming the skin. It also treats your skin so that your skin looks more youthful. Spa therapies enhances beauty: spa provides glowing skin with spa therapies such as body polishing and facials that help in removing the dead skin cells and stimulating the growth of new cell that ultimately gives a glowing skin. When in pain, our body needs care and relaxation. When you don't take care of your body, it demands for your special attention in the form of pain and aches. This is a time when you must visit Care Well Medi Hub and get treated for the problem you are facing. Illness is caused due to stress and tensions thus, it is important to relax yourself and get rid of all the tension. Once you are relaxed you can think clearly and get rid of the tensions. Most massage therapies like Kerala Ayurvedic Massage, Deep Tissue Massage, Swedish Massage, and Thai Massage is based on the touch therapy. According to which, touching relaxes, nurtures and maintains the body. During massage, pressure is directly applied to the body tissue to relax and tone the muscles. The massages are helpful in reducing chronic pain and eliminate the scar tissue by improving the flow of blood in the body along with the metabolic rate. Frequency to visit spa completely depend upon the spa treatment you have opted for and also on your mental, emotional and physical health. Sweating in steam bath is good for the body. It is good for respiratory problems such as bronchitis, hoarseness, asthma, allergies and cough. Steam helps in clearing mucus from the lungs and pacifies airways. Other than respiratory problem, it is also helpful in detoxifying your body. People suffering from Arthritis, Stiff joints, muscular pain, Rheumatism and Muscular tension can also benefit from steam baths. After a heavy workout, taking steam bath can ease your body pain and heal tissue and muscles. Heat from the steam enlarge the blood vessels that boosts the circulation of blood so that essential nutrients and oxygen can easily reach the heart and other parts of the body. Steam bath is also good for the healthy mind. It relaxes you completely from various issues like stress, anxiety, negative energies and sleeping disorder. Sitting in a steam bath provides complete relaxation to the body and soul. Steam bath keeps your skin healthy. Good sweat stimulates the flow of blood, opens the pores and washes out dirt and dead skin cells. Steam bath cleanses your skin and make it soft, supple and smooth. It will provide a glow to your face and recharge you at the same time. It helps in fighting with the problems like dry skin, eczema, dermatitis, acne and chapped skin. Steam bath provides rigorous and complete cleansing effect on the skin and enhances circulation of blood flow. It is considered best for the treatment of cellulite and losing weight. Increases the metabolism of the body so that it can emulsify fat of sebaceous glands and enhance the growth of collagen. It hydrates the dry skin and softens it. We at Care Well Medi Hub is offering 4 types of massage therapy that we will discuss below. Before discussing about the types of therapy, we must understand that Massage Therapy is an essential part of maintaining a healthy lifestyle. People of any age can benefit from the massage therapy. It helps in preventing from diseases by improving the immune system through the various methods of massage that is offered at Care Well Medi Hub. 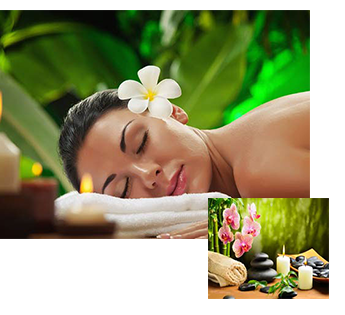 Kerala Ayurvedic Massage therapy uses assorted Ayurvedic oils and focuses on the body's connective tissue. It relaxes and relieves you from pains, aches and various health related problems as well. Deep Tissue Massage is a massage therapy that is directed at the body's deeper connective tissue by using slow but hard strokes. This therapy relaxes you and releases the tense muscles, address problems related to postural and last but not the least it helps in fast recovery from injuries. Swedish massage is a massage therapy that is best for relaxation. Long and gentle kneading stokes are used to improve the blood circulation and for relaxation. Thai Massage is a dry massage (no oil therapy and body stretching) is a therapy in which the therapist applies pressure on specific pressure points of the body to promote energy flow in the body. The therapist will help you stretch your body and will move you around in different postures. This type of massage therapy is considered to be the most energizing technique of massaging.